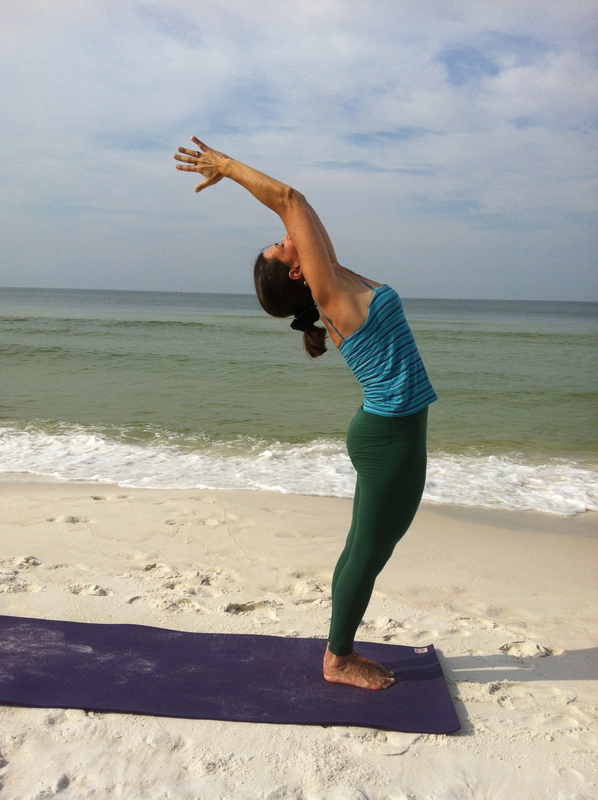 The yoga poses themselves are designed to channel energy to different areas of the body. For example, if I am performing camel (ustrasana) pose, I am directing a tremendous amount of energy into my heart chakra while simultaneously grounding myself to the earth with my lower legs. If we begin to learn the yoga poses and what each one is about, we can learn to direct energy into any place in our mind-body-spirit that feels stuck, congested or unalive. Many different factors can cause our energy centers to shut down. Take the heart chakra, for example. If my heart gets broken, I may react by either punishing myself or protecting myself. I may feel a sharp, prolonged emotional pain, and this may have the net effect of restricting the energy flowing through my heart. If this restriction is prolonged, it may even have physical effects, such as high blood pressure or other forms of heart disease. Another good example is the throat chakra, which has to do with self expression. If we get the message that it is no longer safe to express what we really think in our jobs, our throat chakra may be shut down most of the day. Not safe to speak your mind=congested or closed throat chakra. A lot of us can relate to this one. But if we recognize that this is the case, we can turn to our yoga practice, perform shoulder stand (sarvangasana), building up to ideally seven minutes a day, and restore the energy flowing through this area. If we are not allowed to speak our peace and this area gets congested long term, we may experience thyroid disease. Even if things have progressed to the level of physical pathology, we can improve or eliminate illness by restoring the energy flow and allowing the prana or chi to heal our glands and organs.